Sean was born in Sacramento, CA, but grew up playing soccer in San Antonio, TX from ages 4-13. He moved to Virginia just outside of Washington, DC in 2001 where he played club soccer and 4 years of High School Varsity Soccer including a State Championship winning season. Sean continued on to play two seasons of Division II soccer at Mars Hill College before transferring to George Mason University where he received his B.S. in Applied Information Technology with a concentration in Web Development and Multimedia. He then began his career working as a Web Developer and then made the switch to Media Production where he spent 4 years working on various Sports Hall of Fame and Museum Film / Interactive Media Projects. During this time, Sean spent many hours researching many of the greatest sports dynasties, coaches, and players of all time. 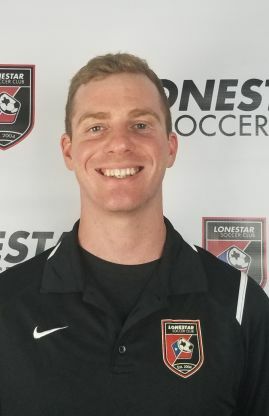 Since making the switch to coaching, he has found true fulfillment by applying the principles and philosophies he’s learned to USA youth soccer.